Children's permanent teeth normally erupt over several years after first forming below the gum line. All their permanent teeth should come in by the time they reach early adolescence. Unfortunately, this process doesn't always happen as it should. 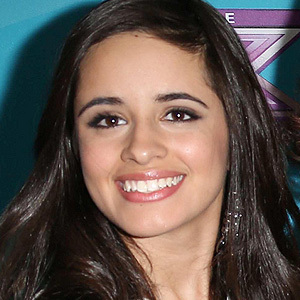 If the erupting teeth become crowded due to a poor bite (malocclusion), teeth still to come in may not have enough room to fully erupt. They become impacted, a condition in which the visible crown remains partially or completely submerged below the gum line. 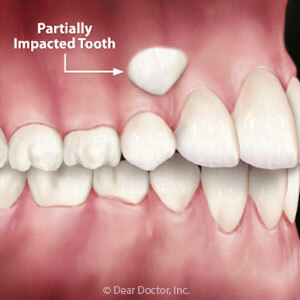 Impacted teeth create consequences for other teeth and dental health overall. They more readily cause abscesses (a localized infection within the gum tissue) and can damage the roots of nearby teeth. Impacted front canine (eye) teeth can interfere with bite function and their visual absence mars an otherwise attractive smile. If your child's canine teeth have failed to erupt properly, there is a way to help them fully come in if you act before their mouth structure fully matures. The first step is an orthodontic evaluation of their entire bite. This will determine if there's enough space to move other teeth to make room for the impacted canines. If so, we would then find the exact position of the impacted teeth using x-rays and possibly cone beam CT scanning for a detailed three-dimensional image. The teeth could be in a variety of positions, such as angled toward the roof of the mouth or cheek or buried high in the jawbone. If the teeth are too far out of position the best course of action may be to remove them and replace them later with a dental implant. If the impacted teeth, though, are in a feasible position for retrieval, we first expose each tooth through the gums with a minor surgical procedure and bond a small bracket to it. We then attach a small gold chain to the bracket that loops over an orthodontic appliance attached to other teeth. The appliance will exert pressure over several months to pull the tooth into proper position. If successful, your child will gain the use of these important teeth and a more attractive appearance. But don't delay — this desired outcome will become much harder if not impossible to attain as their teeth and jaws continue to develop.